This internet safety day we want to highlight that the internet is an amazing tool and an integral resource for young people and adults who are learning to create with code. However, it is necessary to take measures to ensure that young people are protected when they are using the internet, both within a Dojo setting and at home. Learning to be safe online is an essential skill for everyone – see five useful resources to help you get started below. This online safety leaflet contains important guidelines for Ninjas, covering topics such as sharing information, using social media, creating and managing passwords, and viruses and malware. 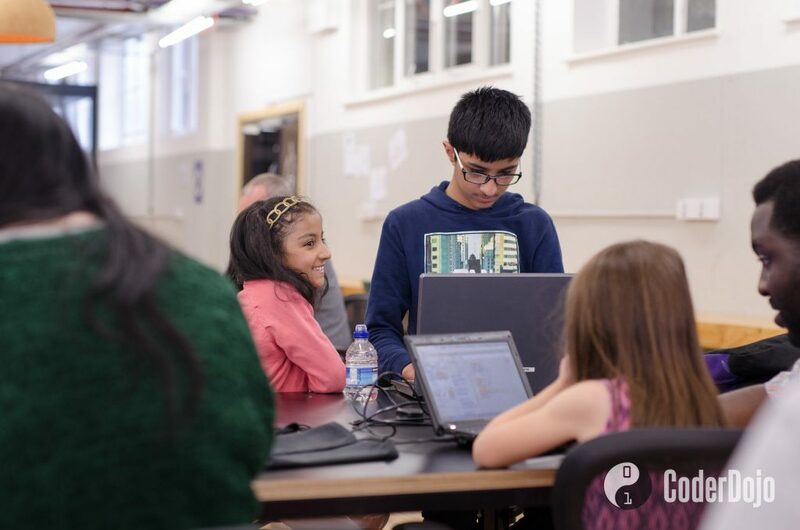 As a parent/guardian, you might be wondering what you can do to ensure that your child can use the internet and create with code in the safest way possible. This internet safety leaflet contains important guidelines on respectful behaviour online, sharing and social media, passwords, and viruses and malware. For Dojo volunteers, it is important to be familiar with the guidelines for keeping young people safe online. Risks to young people online may include cyberbullying, exposure to inappropriate content, and chatting with strangers.This internet safety document contains an outline of these risks, and several online safety checklists targeted at different age groups. You can see safer internet day resources in a variety of languages which you can use in your Dojo session, or even at home. For broader safeguarding resources you can find practical advice on safeguarding, take our e-learning module and report any safeguarding concerns you have on our safeguarding page.